Aesthetics are everything for the eponymous character of NBC’s Hannibal, so it follows that every detail of the series receives the same curatorial touch. Hannibal’s blend of the alluring and the unsettling is reflected in Brian Reitzell’s original score for the series, which is now the subject of a lovingly packaged double LP from Mondo and Lakeshore Records. Hannibal - Original Television Soundtrack carves Reitzell’s score down to 20 prime cuts, an apt metaphor because these are music cues highlighted by the composer himself, and because Hannibal is a show about a guy who eats people. 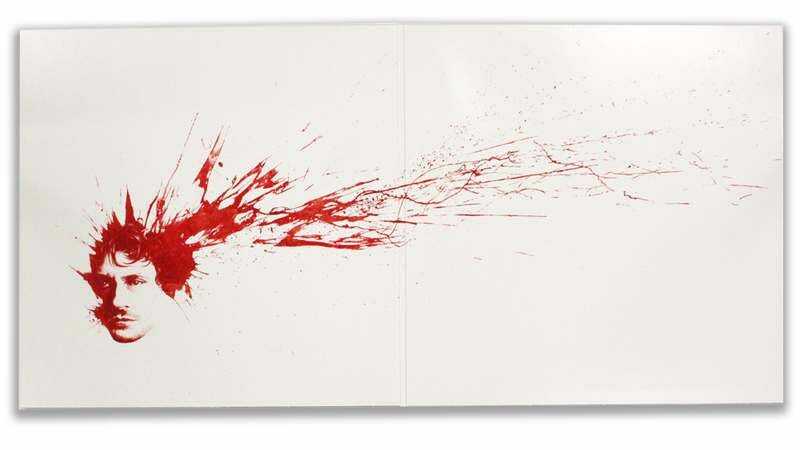 It’s also a show that draws visual punch from deep reds—in wine, in wardrobe, and in the blood frequently splattered on actor Mads Mikkelsen—shades of which are smeared across the Hannibal soundtrack’s gatefold sleeve (designed by Phantom City Creative) and its “steak tartare” vinyl. Like the dish that would be served at Dr. Lecter’s table, it’s only colored like steak tartare, so both LPs will still play on conventional, non-meat turntables. Limited to a release of 1,000 copies, Hannibal - Original Television Soundtrack goes on sale Thursday, June 4 at MondoTees.com. (The exact time it goes on sale will be announced via Mondo’s Twitter feed.) Read on for a tracklist, along with an exclusive preview of the record sleeve and LP design.